With Rothmann a literary talent arrives with a rage chiseled out of love. Knife Edge (Messers Schneide), originally published in Germany in 1986, introduces American readers to the work of Ralf Rothmann, an award-winning poet and novelist born in Schleswig in 1953. Set in West Berlin before the collapse of The Wall, Knife Edge on its surface is a sardonic love story gone awry. Manfred Assen, an indecisive writer-manqué who drives a taxi, is pursued by Iris, who insists on her entitlement, as a woman, to a child. His natural ambivalence to fatherhood and her determination make these two a classic mismatch from start to finish. 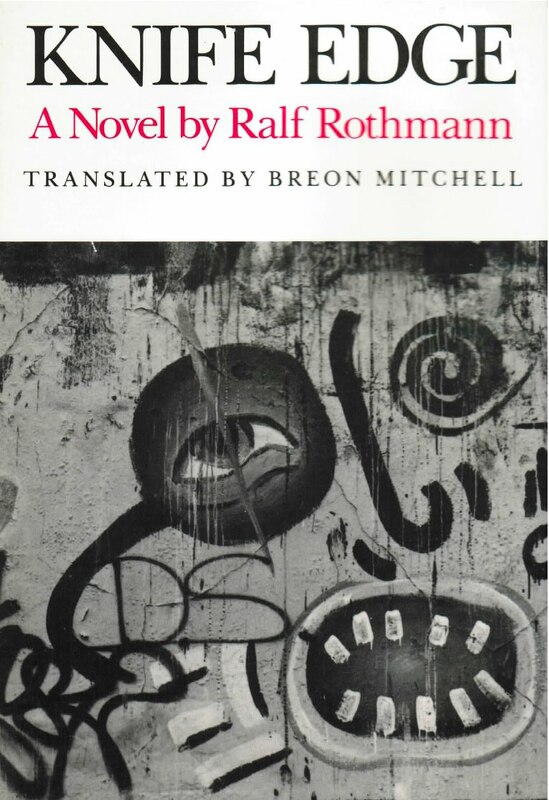 To this human comedy Rothmann brings an existential dimension that resonates back through Camus to Dostoevsky. Like the stranger Mersault, Assen is trapped not so much by his circumstances as his own indecisiveness. And like the Underground Man, his attempt at redemption fails. Knife Edge is that rare first novel: a philosophical narrative rooted in the grit of life.